The Google Play Store could handle Android Updates in the future. That’s according to an APK insight done by 9to5Google. Yes you read it right, the Play Store app could handle OS updates. The keyword is “could”, because right now it isn’t a feature. You may recall that Google introduced something called Project Treble, a couple of years ago. This is a partitioning system which was made to separate the Android System Files, and the OEM skin. What it can help with, is to enable faster updates in terms of development. The OEM only needs to tinker with its additions to the skin and optimize it for the device, not the OS itself. That hasn’t actually helped much, what with incredibly slow or completely non-existant OS upgrades in some cases. What does this mean now? According to the report, the Play Store version 14.5.52 coding has options to check for system updates, download it, and install the same. 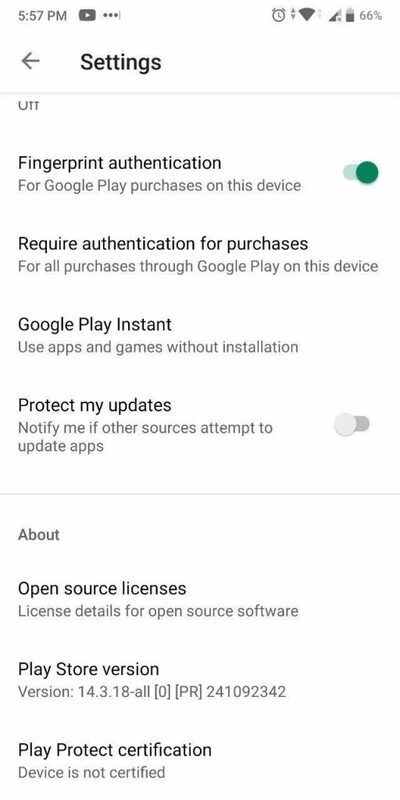 Basically, instead of the settings app, which is usually a part of the Android Skin interface, the updates will be handled by Google. Its kind of like how Microsoft handles Windows Updates for all PCs, it is done by the Redmond company. Its too early to say anything just yet, but it sounds exactly like what Android desperately needs, and it might be possible that Google Play Store could handle Android Updates. But don’t be shocked if it isn’t.